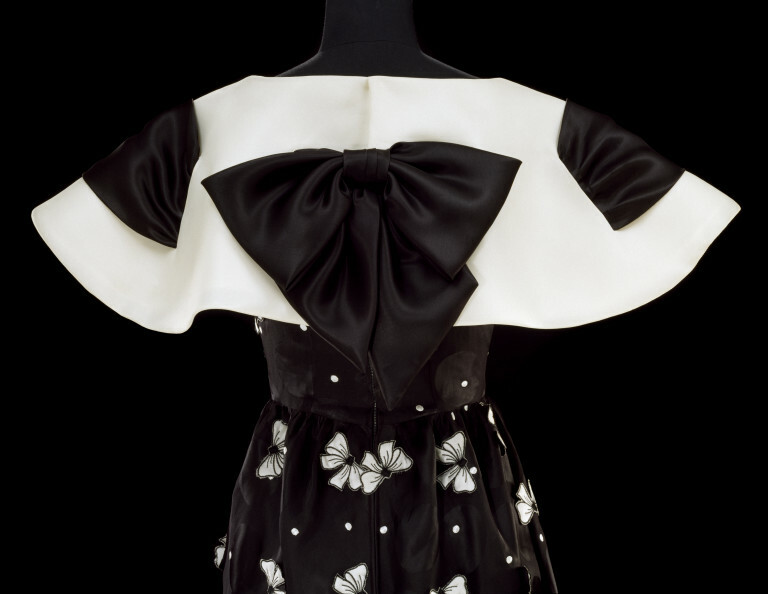 This arresting evening dress in black and white silk was designed by Philippe Venet in 1989. An enormous, cape-like collar of stiffened white silk organza stands wide of the shoulders, falling mid-way to the waist. Dramatically, it is threaded at front and shoulders with a generous black satin sash which ties at the back in a huge butterfly bow. 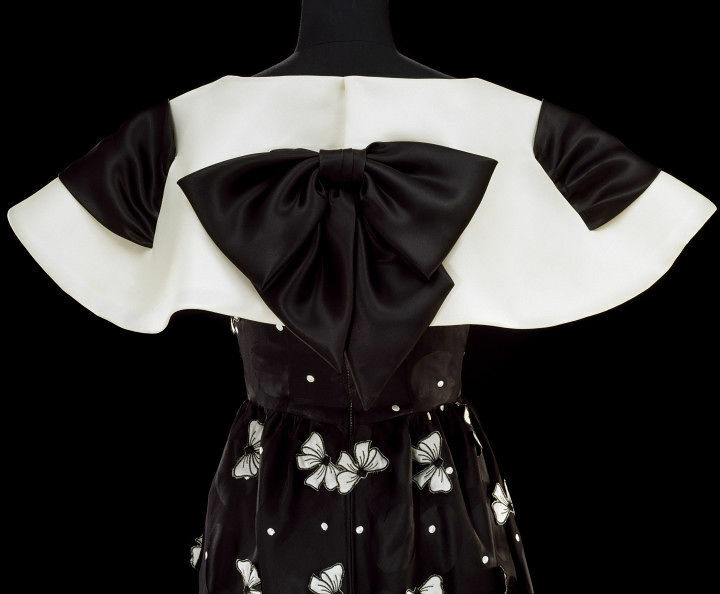 In addition, a profusion of small embroidered bow-shaped motifs are lightly appliquéd over the dress, their free-standing edges creating an animated, fluttering effect that contrasts with the static gravity of the single bow above. Evening dress of silk, organza and satin. 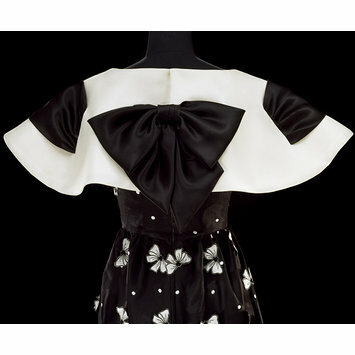 With a large white cape-like collar threaded through with a black bow. Embroidered bow-shaped motifs are appliquéd over the dress. Purchased. Registered File number 1990/314.